It’s a question the Ontario Human Rights Tribunal may soon tackle after an update to the provincial definition of “creed”. Animal-rights and vegan advocates are calling the new policy, released in December, an important recognition of their right to express their beliefs. 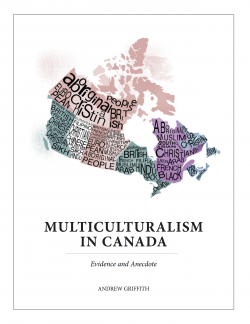 The 179-page policy, the first update from the provincial human rights commission since 1996, offers guidelines for what defines “creed,” historically treated as religious beliefs and practices, in the more secular 21st century. That opens the door for vegans, atheists and other groups to claim similar protections under the law. Instead, the aim was to provide an update that hedged against growing religious persecution in some areas, particularly against Muslims, and to make it more inclusive of, for example, atheists or those who practice an indigenous spirituality. “Creed” is now much broader than the more strictly religious interpretation intended when the Code was first drafted and is intended to capture more modern belief systems. Is it a sincerely, freely and deeply held belief? Is tied to personal identity and spiritual fulfillment? Is it “a comprehensive and overarching system of belief that governs one’s conduct and practices? Does it address ultimate question of human existence, including ones about life, death and purpose? Is there an organization or community that practices the same belief system?